What’s Really Keeping You Up at Night? Though getting a good night’s rest is one of the most important things a person can do for their body, for many, sleep is elusive. What should be a restful process ends up being an extremely stressful and challenging process. For many people, their inability to get a good night’s rest is due to a number of problems they are unaware of, as there are many possibilities that could be keeping their body and mind from fully falling into a deep slumber. The first step to getting a good night’s rest is figuring out what really is keeping you up at night. Sleeping on the wrong mattress can actually keep you from sleeping well. 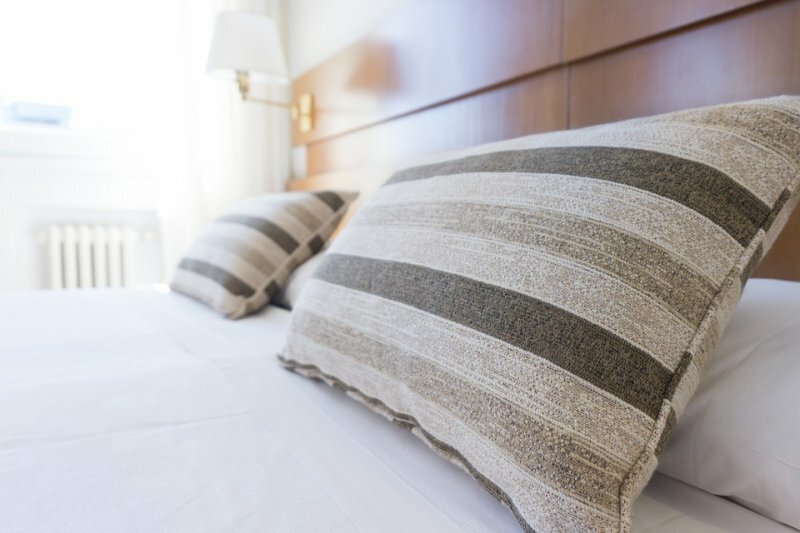 While many people are under the impression that all mattresses are relatively the same, the truth is, all mattresses are not the same, and different people are comfortable on different mattresses. Some people need firm mattresses while others need soft ones. Some need memory foam and others need a water bed. Finding a mattress that your body responds to positively can help you sleep through the whole night. One of the most difficult parts of picking a mattress is if you and your partner do not have the same preferences. If you prefer something firm and your partner prefers something soft, it can be hard to find a regular mattress that fits both you and your partner’s needs. In this situation, consider looking into a Personal Comfort Bed, as these beds can be adjusted to personal preference. It is a perfect compromise where neither of you have to sacrifice sleep or comfort. For many people, body pain can keep them awake during the night. While some can attribute their back pain to an ill-formed mattress, other types of pain, including arthritis, carpal tunnel, chronic migraines, and problems with jaw muscles can hinder sleep. The excruciating pain can wake you up in the night, as it is so severe it keeps you from cycling through your sleep cycles. Once you are awake, the pain can be serious enough that it restricts your ability to fall back asleep. Many avoid having the pain looked at by a doctor because going to see a specialist is too time consuming or expensive; however, a lack of sleep will actually worsen the pain. If you are waking up in the night or in the morning sore and in pain, it is a good idea to speak with your doctor. They can help diagnose the problem and give you ways to relieve the pain so you can sleep pain-free. One of the leading causes of insomnia is stress. Stress manifests itself in a variety of ways, and for many, stress keeps them from being able to sleep. Consequently, a lack of sleep can add stress to the body, creating this vicious cycle that seems endless. Unfortunately, stress is a part of life, but how you respond to stress can determine how much you let it affect your life. If stress or stressful situations are keeping you awake at night, it is important you try to remove the stress from your body before turning out the lights. Research has shown that stretching before bed, listening to soothing music, and aromatherapy can help your body and mind relax and release the tension in your body that is keeping you from sleeping. Those who work odd hours can find that sleep does not come easily. Nurses, doctors, construction workers, police officers, and other night workers tend to sleep at odd hours due to their crazy work schedule. The odd patterns can mess with your sleep cycles, especially if your hours rotate. Nurses, for instance, often work 12-hour shifts a few days in a row. After having a few days off, they work the night shift. The cycle repeats itself, thus the body struggles to find a routine. Similarly to stress, relaxing before heading to bed can help your body adjust to the hours and fall asleep quickly. The body needs sleep in order to function properly. Emotionally, physically, and mentally, the body relies on sleep to keep the body refreshed and energized for the days ahead. If you are struggling with sleep, finding out what is keeping you awake can help you find a sleep schedule that works for your body.